The founder of the nonprofit Girls Who Code makes the case for women and girls to fear less, fail more and live bolder. 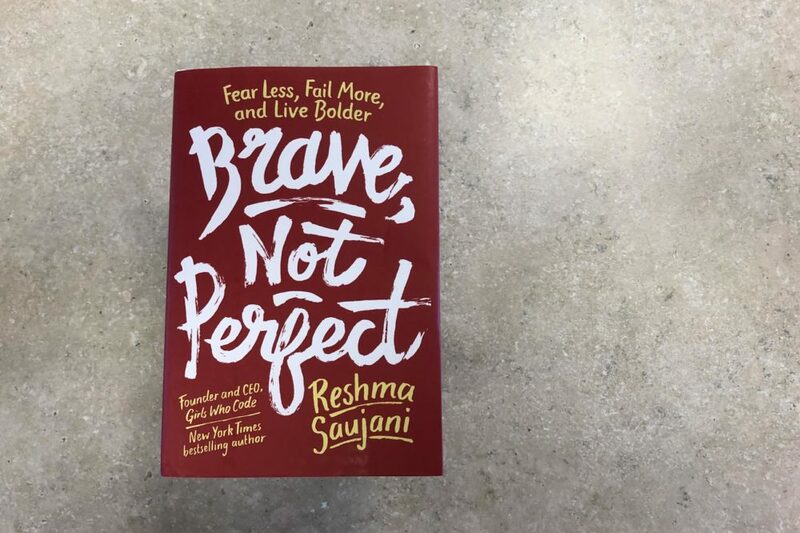 Reprinted from BRAVE, NOT PERFECT: Fear Less, Fail More, and Live Bolder Copyright © 2019 by Reshma Saujani. Published by Currency, an imprint of Penguin Random House LLC. American Booksellers Association: "Reshma Saujani on How to Be Brave, Not Perfect" — "Reshma Saujani, whose book Brave, Not Perfect: Fear Less, Fail More, and Live Bolder will be published by the Crown Publishing Group’s Currency imprint on February 5, appeared as a keynote speaker at the American Booksellers Association’s 2019 Winter Institute in Albuquerque, where she discussed the importance of teaching girls to take risks and not fear failure, rather than pursue perfection in all things. "Saujani is the founder and CEO of the nonprofit Girls Who Code, which aims to close the gender gap in STEM fields and encourage girls to explore computer programming; she is also the New York Times bestselling author of the 13-book Girls Who Code series. Inspired by her popular 2016 TED Talk, Saujani’s newest book features girls and women across the U.S. talking about their professional and personal stories of bravery, and provides everyday strategies for taking more risks and avoiding unhealthy perfectionism. "In her keynote speech, Saujani traced the development of her 'obsession with being brave,' as she put it. At age 33, Saujani was working a soul-crushing job as a financial services lawyer and wondering why she was so absolutely miserable. In her mind, she had done everything right: attended Harvard’s Kennedy School of Government, gone to Yale Law School, gotten straight As. One day, fed up, Saujani walked into her boss’ office and quit to pursue something she knew in her heart would make her happy: running for Congress." CNBC: "A nonprofit is trying to close the gender gap in tech by teaching girls to code 'as young as we possibly can'" — "Whether you're looking for a job, or looking to hire – computer expertise is the most in-demand skill in the American job market. "The computing industry's rate of job growth is three times the U.S. national average, according to statistics, and yet women are being left behind. "Only one in five professional computing occupations are held by women. In 2016, just 19 percent of women graduated with a Computer and Information Science degree. However, women made up 57 percent of bachelor degree recipients. "So why are women falling behind in the tech sector?"